Young Athletes Who Specialize Too Soon Risk More Injuries : Shots - Health News High school athletes who tended to focus on one sport were 50 percent more likely to get hurt than those who hadn't specialized. Injuries included ankle sprains, knee tendonitis, and stress fractures. 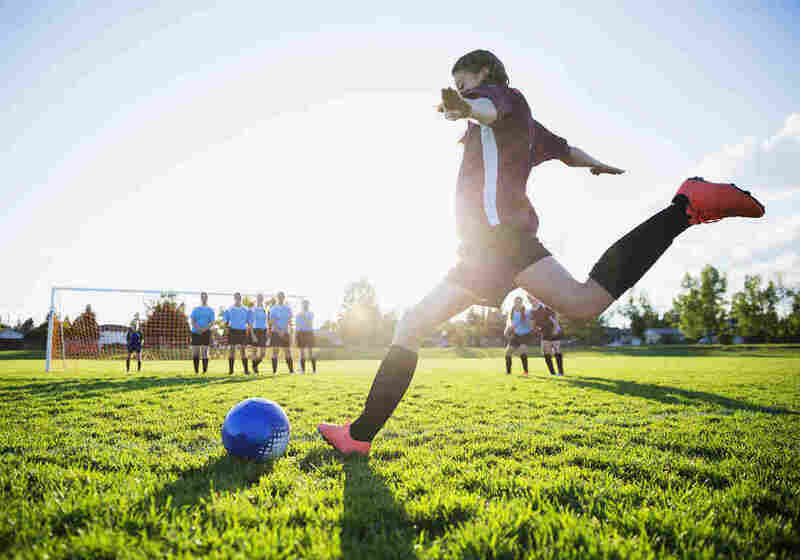 A growing number of pediatric sports medicine groups warn that when a child focuses on a single sport before age 15 or 16, they increase their risk of injury and burnout — and don't boost their overall success in that sport. If you're involved in high school athletics, you know the scene. There's increasing pressure to specialize in a single sport and play it year-round. The upside? Focusing on one sport can help give kids the edge they need to compete on elite club teams — or travel teams. Many athletes hope to attract the attention of college recruiters, or be offered a sports scholarship. This emphasis on competitive success has become widespread throughout the U.S., according to a consensus statement from the American Medical Society for Sports Medicine. And, the downside? The "increased emphasis on sports specialization has led to an increase in overuse injuries, overtraining, and burnout, according to a 2016 report from the American Academy of Pediatrics . Now, comes a study, published this week in The American Journal of Sports Medicine, that adds to the evidence that specialization may increase the risk of a range of injuries for high school athletes. 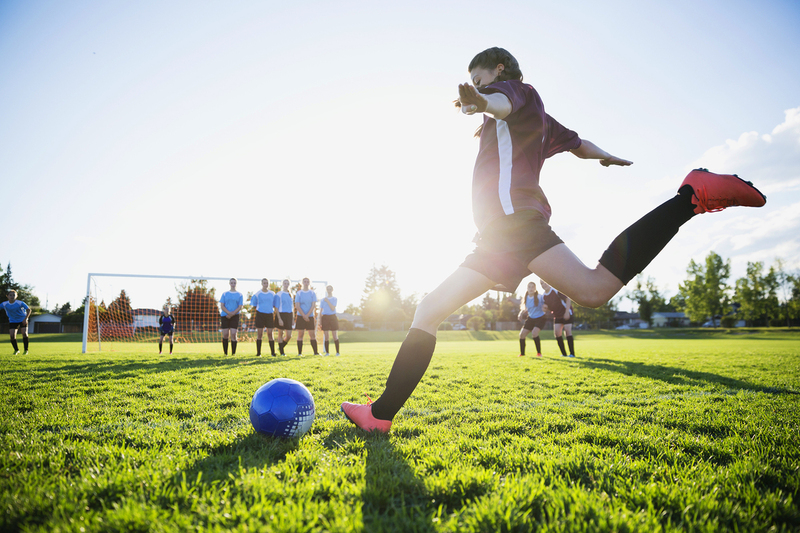 "We found that kids who had higher levels of specialization were at about a 50 percent greater risk of having an injury," says study author Timothy McGuine, a senior scientist and research coordinator at the University of Wisconsin Health Sports Medicine Center. The injuries McGuine and his colleagues noted included ankle sprains, knee tendonitis, and stress fractures. Until now, a lot of what was known about these kinds of injuries has been anecdotal. To get more hard evidence, McGuine and his colleagues asked athletic trainers to record injuries as they happened during games and practices. The trainers tracked about 1,500 players from 29 high schools in Wisconsin during the 2015-2016 school year. "We then reported into a database the type of injury, and how it occurred," McGuine explains. They also recorded information on whether the athlete went to the doctor, whether they had X-rays or MRI's, whether they had surgery, and how long the injury kept them from playing their sport. In total, 235 students, of the roughly 1,500, sustained an injury that was serious enough to take them out of the game for a week. McGuine's finding underscores the recent advice from a growing number of pediatric and sports medicine groups. In a clinical report published last year, the American Academy of Pediatrics concluded that current evidence "suggests that delaying sport specialization for the majority of sports until after puberty (late adolescence — around 15 or 16 years of age) will minimize the risks and lead to a higher likelihood of athletic success." And a consensus statement from the American Orthopaedic Society for Sports Medicine concluded that "there is no evidence that young children will benefit from early sport specialization in the majority of sports," given the risk of overuse injury and burnout. That group recommends several measures to prevent burnout and injury including "avoiding overscheduling and excessive time commitments." As a rule of thumb, McGuine says, kids should limit the number of hours they participate in organized sports each week to the number of years they've been alive — or less. "So a 10-year-old should not play or practice more than 10 hours a week," he says. Still, not all sports medicine experts are convinced by the new evidence. "Sport specialization may simply be a marker for a larger volume of training and competition," Dr. John DiFiori, Chief of the Division of Sports Medicine at UCLA told us by email. In other words, kids who focus on one sport and train year-round may simply be on the field more competing and practicing compared to kids who don't specialize. He'd like to see more research to answer that question. In the meantime, there's one conclusion everyone seems to agree on: Parents, clinicians, and coaches need to work together with the leagues to ensure healthy play.